Are you a soap lover like me? 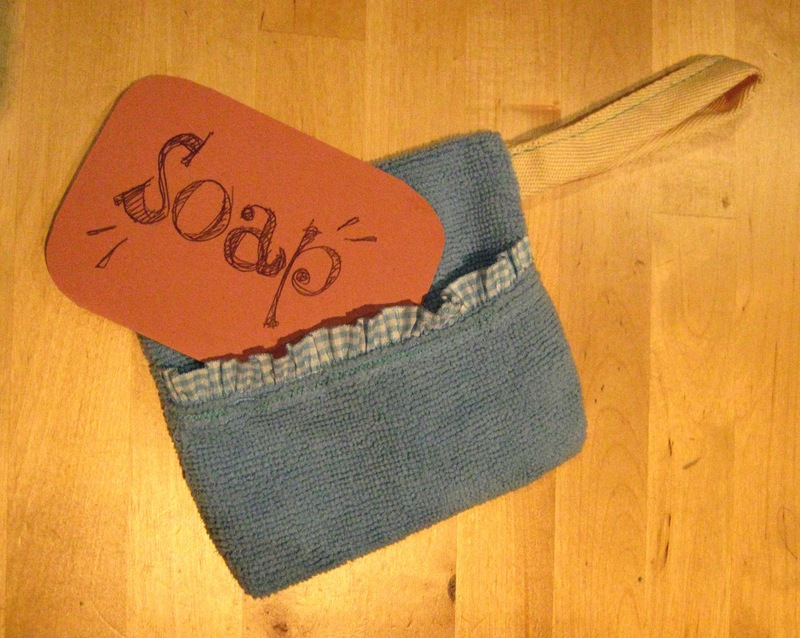 I stumbled across the lovely idea of a soap pouch on Pinterest (where else?! ); the original was a very simple pouch made out of towel by Whimsy Love. I love the idea because the pouch acts as your sponge as well as eliminating soap-related mess in the bathroom. I added to this basic idea a couple of elements. 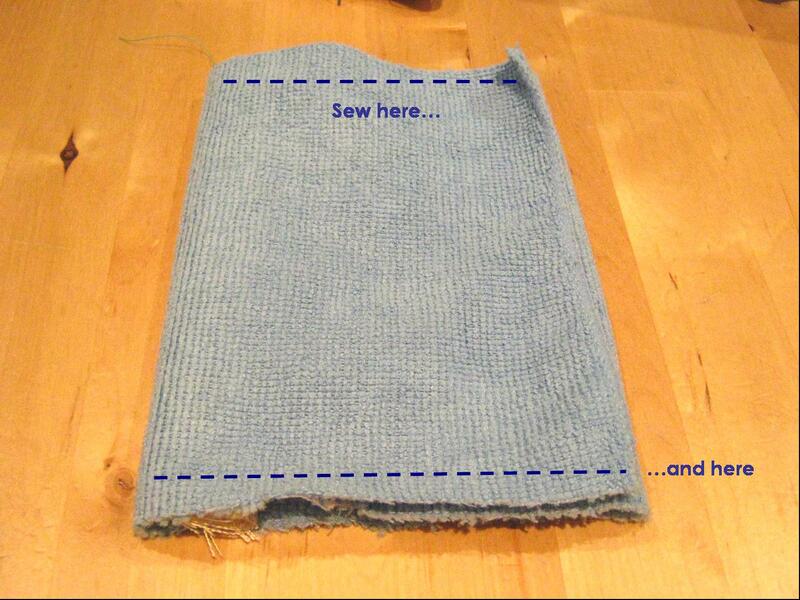 I've also used a microfibre towel as my base material, as it dries quicker than ordinary towel and it's softer. At the bargain price of £1 at the Pound Shop (and I can make another 5 with the amount of fabric it had), it's even better! So, I wanted to make it slightly prettier (you can see the little trim I added to the edge of the pocket), and more practical, so I added a loop to be able to hang the pouch in the shower (=easier to dry + no yucky mess). 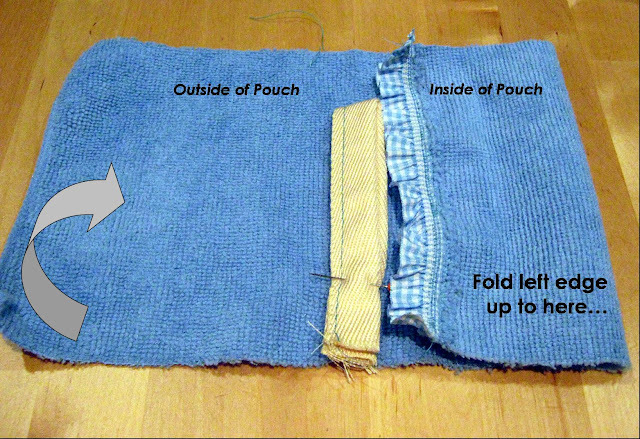 If you want to do the same, remember to add first the trimming to the edge of the pouch your are going to see, then the loop (I've used herringbone tape for a strong loop that doesn't lose shape when hung wet with the added weight of the soap bar), then sew the raw edges, as illustrated below. 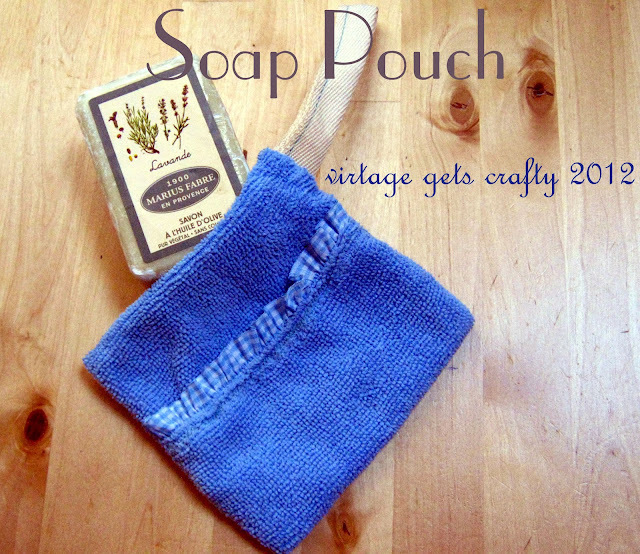 Now you can turn the pouch inside out, place your soap bar in, and enjoy your soft soapy moment! Sorry for the fake soap, it was past midnight, I couldn't find a new bar in the whole house, and I certainly didn't want to take a snap of the used one I had in the shower!